A Tonk's Tail... err, Tale...: Catification? Not. Allie: Jackson's going to be here this Friday evening, to talk cat with Kansas City! Allie: Do you think I can get a purrsonal consult? Reeally. This ...? Is not Catified. LOL Allie you make us chuckle. Have a marvellous Monday. Yes, Allie for sure need a lounge for herself in maybe pink! I agree about the pink lounger! Is that hammick big enough for you two boys? We gotta look into getting one of those. We're impressed to see both of you in that hammock. We might have to reconsider one of those. It's bigger than we thought! 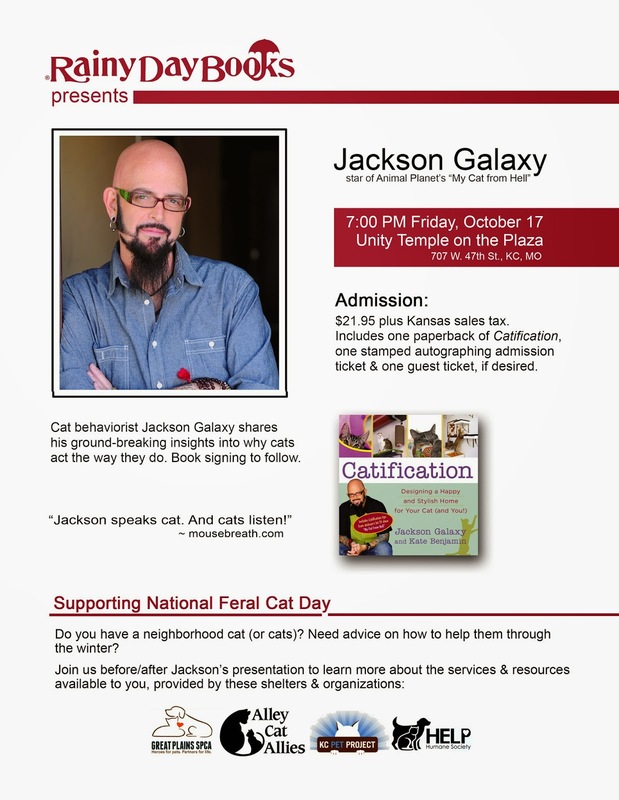 Oh I would LOVE to meet Jackson Galaxy, his video for feral Cat Day made me cheer and shout YEAH let's go! Maybe Allie just a fan girl MOL!! Allie, CLEARLY you are in dire need of Mr. Galaxy's exPURRtise! You TOTALLY need a consult, Allie. And maybe a personal PINK Peach lounger. Just saying. 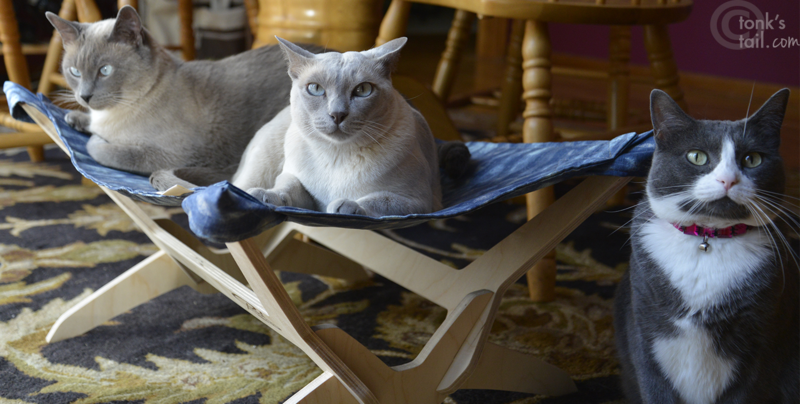 Obviously you need another lounger. We think that Jackson Galaxy will set your mom straight, Allie. I have a feeling you could make contributions to his book, but Jackson might be willing to stop by and help your mom perfect the catification efforts. I bet you'll have a fab time! Oh, we cant imagine that ANNY of you need "fixing" by Jackson Galaxy. We are sure you are ALL purrfect! OMC! You made my mom snort! How on EARTH did you get that photo! ...it must be dinnertime or something. So Allie, did you get that consult?